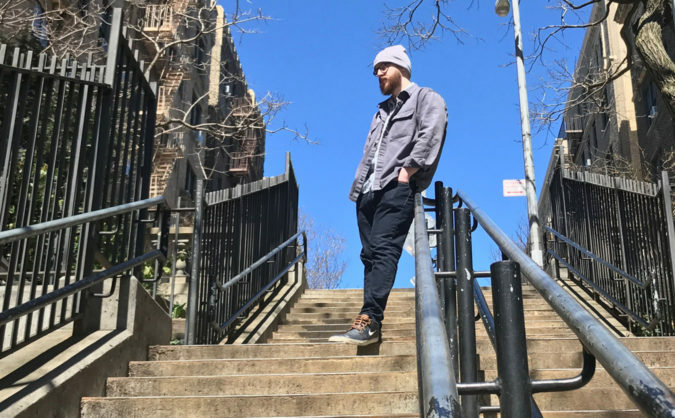 Today we’re premiering the song ‘commoner’ by spoony bard (lowercase spelling is the artist’s preference), which is the alter-ego of NYC musician David Nord. spoony bard brings a jazz musician’s sense of freedom to electronic and hip-hop beatmaking before lacing it with traditional MC skills. Think of the experimental glitch-hop of Prefuse 73 combined with the introspective flow of J-Live. The name spoony bard derives from a quote (“You spoony bard!”) from the video game Final Fantasy IV. The quote is a nonsensical insult whose meaning was lost in translation.